Kids Riding Trails Long Sleeve Tee Size Small (6/8). Front and back screen print. 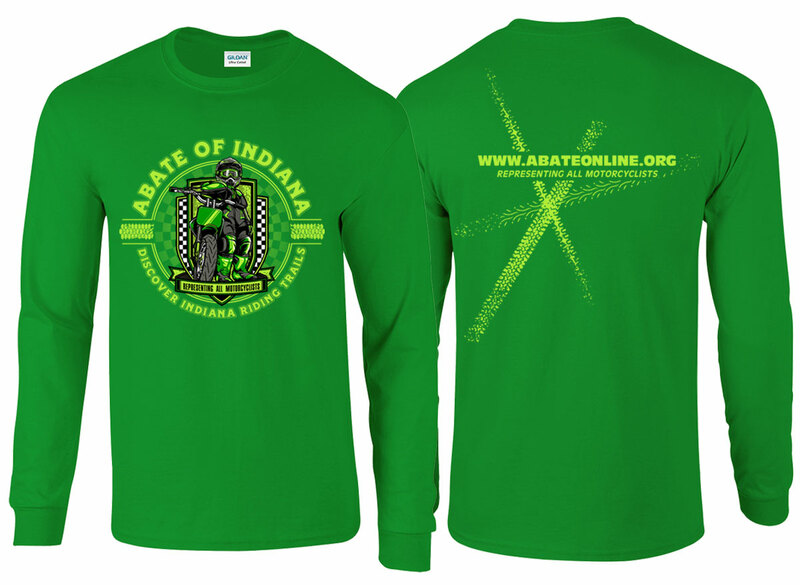 Available in Long Sleeve Irish Green kids sizes XS-L and Adult sizes S-3X in a classic fit Gildan Heavy Cotton 5.3oz 100% cotton jersey preshrunk.